It's time for me to share another fun Sight Word Review Game we played this summer to help get the Littlest Diva on the road to reading. The Littlest Diva loves flowers. 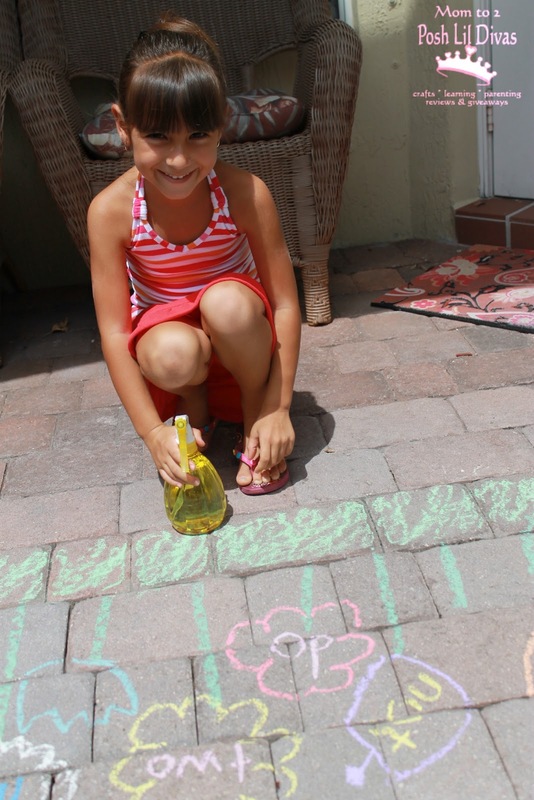 She draws them all the time and begs to water the bushes outside our home. The poor girl probably wishes her mom had some sort of a green thumb. 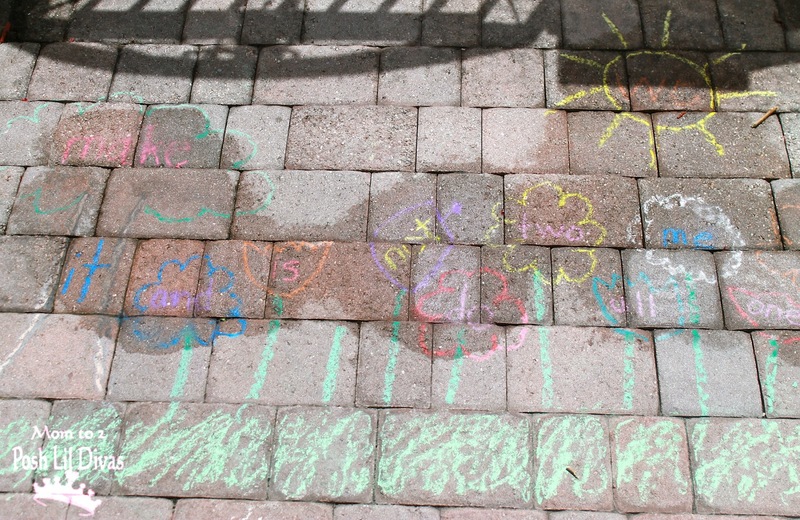 On a hot and humid day, I went outside a drew a chalk garden. 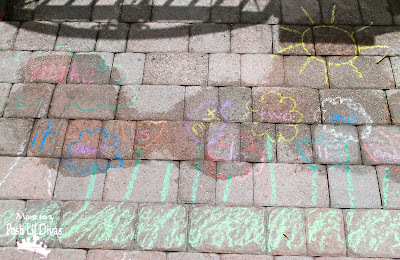 I added some target sight words into each flower, the tree and the sun in my drawing. 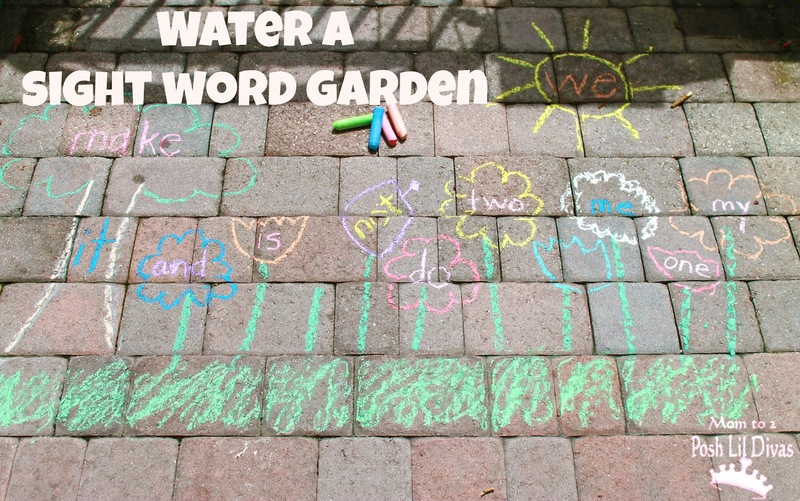 Then I filled a spray bottle with water (I have no idea where our watering can went) and invited the Littlest Diva outside to water her sight word garden. 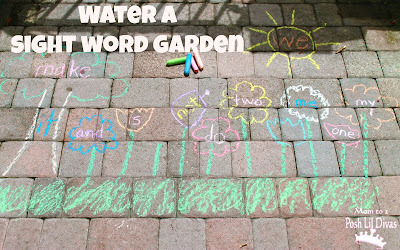 I called out words and she happily watered that particular flower (or other part of the drawing). She was amazed at how quickly the sidewalk kept drying up and she begged me to call the words out over and over again because her garden needed more watering. 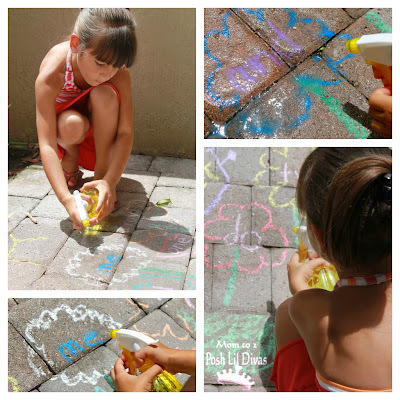 It was a simple activity that got my Lil Diva moving, happily playing outside and learning at the same time. Love it! My co blogger shared a similar alphabet game that she did with sight words and alphabet letters earlier this summer. I may need to try this with word family words with my son. Wonderful! There are so many fun ways to review phonics and sight words. We come up with something new to try every week - to keep it fresh and exciting. Ooooh! Great idea! My kids are watering can obsessed so this is right up their alley! Thanks! Megan, I really wish we had our watering can - that was the intention but we just couldn't find it :( My daughter would certainly have enjoyed it even more if she could have used that. :) Thanks for visiting & hope your kiddos enjoy it. Hope you will stop by and like Simple as 1-2-3!